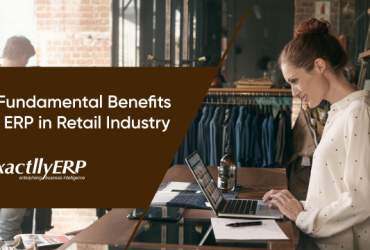 If you thought that ERP was restricted to just businesses, think again. The core aspect of ERP makes it useful in any organization that needs its resources to be managed in a more efficient manner. Educational institutes are one of them, employing dozens and even hundreds of people for different roles and departments. However, like in most other cases, the implementation of ERP in educational institutions is trickier that simply using it. 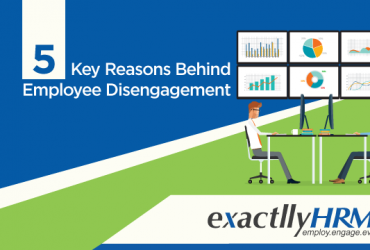 There is no denying that ERP is a great tool for managing the employee resources of any organization. However, the hard truth remains – not everyone needs it. Sometimes automation is not desirable in your business, other times you simply are not big enough to warrant the tool. These things need to be considered before you even think about going ahead. Purchasing the tool simply because other institutes are doing the same is not a valid reason at all. The best practice is perhaps to involve everyone who would eventually be benefitted from the tool, like your staff and administration. You should try asking them the possible benefits or drawbacks of implementing such a system in the institute. All the points must be listed and weighed against each other. In the end, go for it only if the positives outweigh the negatives significantly. If not, try seeking alternative solutions. The point stands true for implementing ERP in any kind of organization, and specifically for ERP in educational institutions. 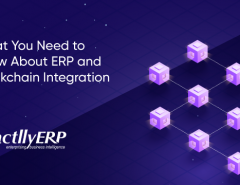 You need to first understand that “ERP” is an umbrella term for a variety of software that offer the same core functionality, but with different features and approaches. Not every ERP tool can fulfill every requirement. Conversely, not every requirement can be addressed by an ERP tool. Thus, as a good practice, you must begin with listing out all the requirements you have, in context to ERP. To do so, you can use the same team of employees as in the previous scenario. Then, you need to go through all the ERP tools available in the market along with their features. You might need a professional to do so. The last step is to match the features of the ERP tools with your requirements. All of this is done because right coordination between expectations of client and delivery of the tool is imperative for the success of ERP. For an ERP tool, data is the lifeblood. The entire mechanism of ERP depends upon the data fed to it. Hence, the type of data you are transferring to ERP while implementation will play a key role in deciding its performance later on. However, this is where most people commit common mistakes. On the surface, transferring data seems as simple as shifting the entire database from the older system to the new ERP tool. However, it has its own problems. Your old database might contain data that is inaccurate, redundant or simply incomplete. Transferring it to ERP implementation would be akin to spreading an infection. A prudent approach would be to maintain an account, like a spreadsheet, that stores details for all the data that needs to be transferred. Go through the entire data and look for the items that are old and no longer required. A quick check is necessary to prevent any inaccurate or incomplete data from entering the system during implementation of ERP in educational institutions. The efforts might seem huge, but the benefits of supplying clean data to an ERP tool are significant and long-lasting. As the old saying goes, “A tool is only as good as the hands that wield it”. 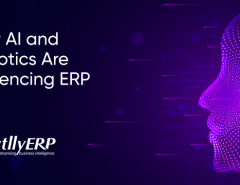 While an ERP tool might be a great idea, you will not be able to optimize its potential unless the people using it are well-trained. So, what possible trouble could untrained employees cause? Well, for starters, they would never understand the full potential of the tool, or take a long time for the same. They would either need to refer to manuals for even small utilities or run into problems often, both of which would consume time and reduce efficiency. A training program helps overcome all such shortcomings. Usually, trusted vendors often include training programs in their package. 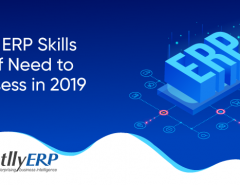 The best time for such training would be during the ERP implementation phase, as it ensures that the employees and the tool are ready by the same time. Money shouldn’t be a factor in this and the best training with on-hand experience must be provided to the staff. After all, nobody would understand the need for proper training better than a teacher. It might sound strange to talk about post-implementation when we were actually discussing the implementation. However, post-implementation is a key part of the implementation process. You need to utilize the implementation phase for deciding everything you would have to do once you go live. While implementation of ERP in educational institutions is a difficult and complex process, it is not the end of the road. Various tasks like maintaining input data, tool optimization and software upgrade would be part of your to-do list often. All of this must be understood while you are in the implementation phase. The best approach would be to assign roles to individuals and delegate the specific responsibilities to them, like appointing the tech head for upgrading the ERP software etc. ERP in educational institutions have been a revolutionary step for the education sector, converting a close-knit organization into a thriving corporate culture. Thus, it is imperative to ensure the proper implementation of the ERP tool in order to reap the best results. The efforts are bound to pay off in the long run.